Anyone who has ever had the slightest interest in models or fashion would be well familiar with the supermodel phenomenon of the late Eighties and early Nineties. A select coterie of models led unabashedly by Linda Evangelista, Christy Turlington, Naomi Campbell and Cindy Crawford, leapt off the pages of high fashion glossies and entered into the public's mainstream consciousness via television commercials, music videos, lifestyle shows and an avalanche of fashion-related projects. Certainly, the supermodel era would never have transpired had it not been for the spectacular DNA of Stephanie Seymour, Claudia Schiffer, Tatjana Patitz, Helena Christensen et al., however the voracity with which the phenomenon took flight owes much to the collaborative and strategic efforts of the model agents, designers, photographers, fashion editors and stylists who transformed these living dolls into fully fledged personalities with unprecedented celebrity clout. Pioneers of the supermodel movement include Elite Model Management's John Casablancas and Monique Pillard, Ford Model's Eileen and Jerry Ford, Marilyn Gaultier of Marilyn Model Management, and last but certainly not least, the formidable founders of Premier Model Management Carole White and Chris Owen. 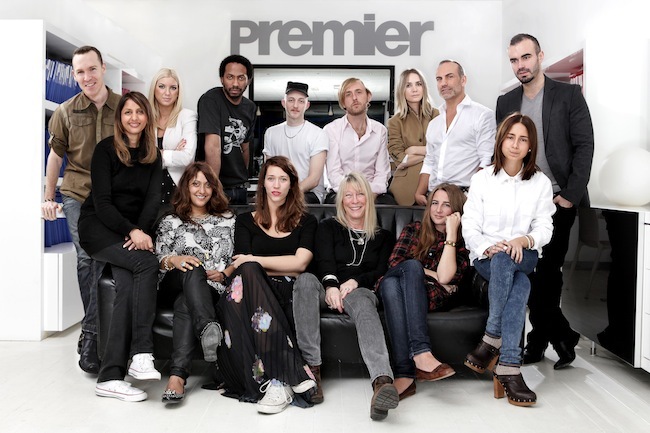 Established in 1981, Premier Model Management played an integral role in the career trajectories of models whose star power was such that they were identifiable simply by first name. White and Owen spearheaded the branding of models with the launch of the first fragrance and make-up lines for Naomi Campbell and Cindy Crawford, a denim line and much ballyhooed book deal for Naomi, the now highly collectible Hasbro supermodel doll range, the infamous Vauxhall Corsa "Supermodel" car campaign, and the Fashion Cafe franchise endorsed by Claudia Schiffer, Elle MacPherson, Christy and the ubiquitous Naomi. 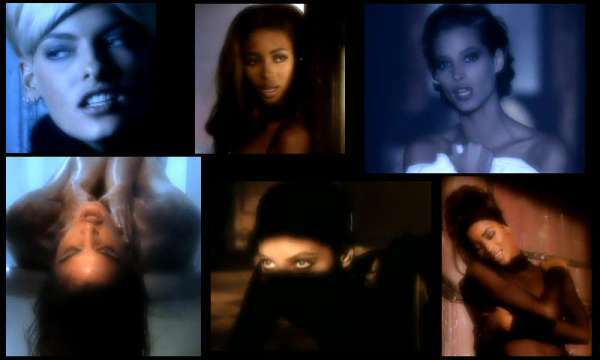 Owen was also instrumental in immortalising the lip-synching antics of the magnificent five; Naomi, Christy, Linda, Tatjana and Cindy in the minds of the model enlightened public with the production of George Michael's epic "Freedom" music video directed by David Fincher. Premier Model Management unveiled modelling's shroud via various television related projects including "Models Close-Up" - one of the industry's first credible documentaries on supermodels directed and produced by photographer David Bailey, and more recently Premier's model search reality series "Model Behaviour" and the channel 4 series "Model Agency", which chronicles the inner machinations of life within Premier Model Management's London headquarters. With the advent of the internet and its far reaching global accessibility, Premier Model Management are now stepping up its game, venturing into unchartered territory with the launch of the industry's first modelling mobile phone app "Premier Model Style" launched through iTunes. The application provides a labyrinth of information on Premier's modelling talent, as well as insider tips on fashion trends, hair and make-up, and lifestyle advice from Premier models, photographers, fashion bloggers and industry experts. Premier's Director of Scouting Anthony Gordon is on hand to offer his tips on wardrobe essentials while former nineties supermodel Claudia Mason puts her years of modelling expertise to use with advice on the all important off duty model uniform. Premier's managing director Chris Owen sheds light on the agency's ethos and the significance of the Premier Model Style app keeping in sync with modern technology and social constructs, "Models are compelling and relevant fashion and style opinion leaders, Carole and I have always championed this concept at Premier and wanted to develop an app that showcases model style, trends and opinions. We believe showcasing all of the above is of huge interest to a vastly growing sector of fashion aware and media savvy youth. The internet and modern mediums like social networks have been extremely influential in allowing an audience to interact with talent and it is these platforms that give models a very powerful voice in both on-line and retail fashion and style. We definitely see this as an on-going project with new content featuring Premier models, being updated and released after the international fashion collections twice a year." With the gradual demise of the supermodel phenomenon, the next step towards rekindling interest in models resides perhaps in making the modelling industry and indeed the previously unattainable beauty ideal of models more relatable and accessible to the public. Either way, Premier Model Management intends to remain at the forefront for the next phase in the evolution of the supermodel phenomenon.